Growing your own nectarines is not as hard as you may think. If you live in a climate where they can grow, proper care will ensure abundant and delicious fruit. This is a guide about growing nectarines. 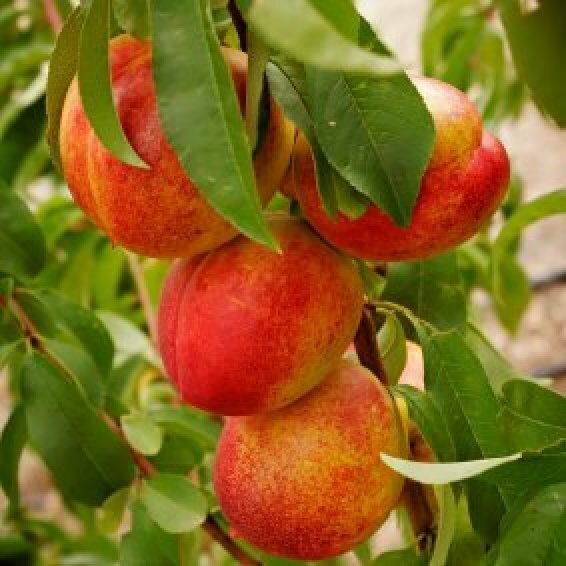 As difficult as it is, be sure to thin your nectarines after the fruit has set. You do not want any two fruits to be touching each other. The best distance between two fruits is about 6 inches. This will keep the branches from breaking when the fruits are getting bigger, and will also help with fungal disease prevention. In the fall, after the leaves have fallen, be sure to rake up and pick up all leaves and dried fruits (mummies). These are winter shelter for fungus diseases, and you don't want that at all. Source: Family gardening over the years, and split nectarine tree when it wasn't thinned.